Watch a livestream as the 2018 Capitol Christmas tree is delivered at the West Lawn of the Capitol Building. 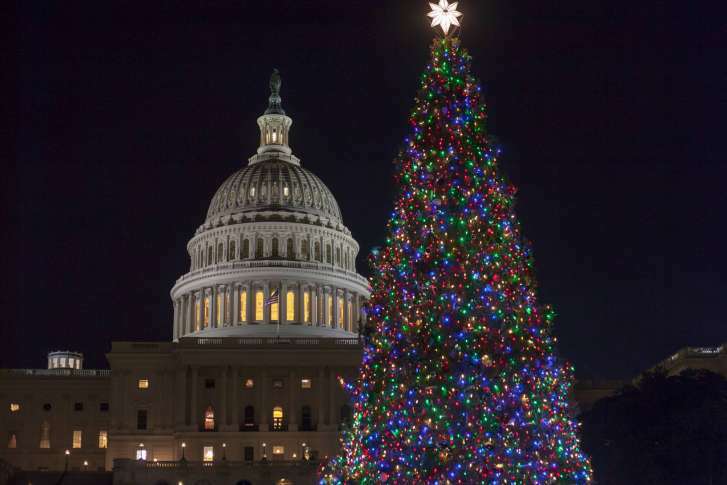 WASHINGTON – The 2018 Capitol Christmas tree was delivered Monday morning at the West Lawn of the Capitol Building. The 82-foot noble fir was cut down earlier this month in Oregon, and will be lit in early December. The White House Christmas tree, a 19½-foot tall Fraser fir, arrived last week. A livestream of the tree arriving has now ended, and can be watched in full below.